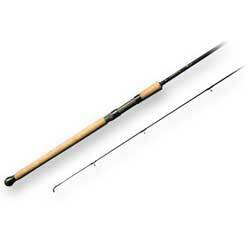 GTi Barbel Rod - 11' 2 piece 1lb 12oz tc. Although the 1 ¾ lb TC might seem heavy, it is not in this case. 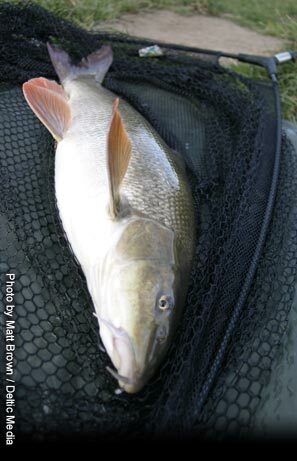 The GTi has a clever blend of fibres resulting in a rod with a very sensitive tip, yet with a reserve of power more than capable of subduing the biggest Barbel. The GTi will cope with a huge variety of leads, from a single swan shot right up to 4ozs. Ideal for fishing tighter swims, the 11ft version is perfect for maintaining control of an angry Barbel while minimising the risk of a hook pull. A 12ft version is also available. NEW : Quiver tip now available for 11' GTi as optional extra cost £80.